One of the biggest events of Thailand is National Elephant Day. 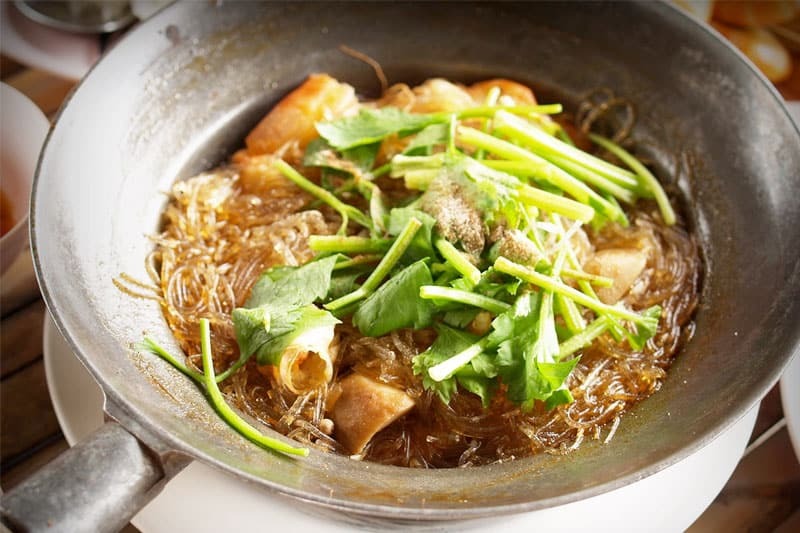 The official name of this local festival is Wan Chang Thai. 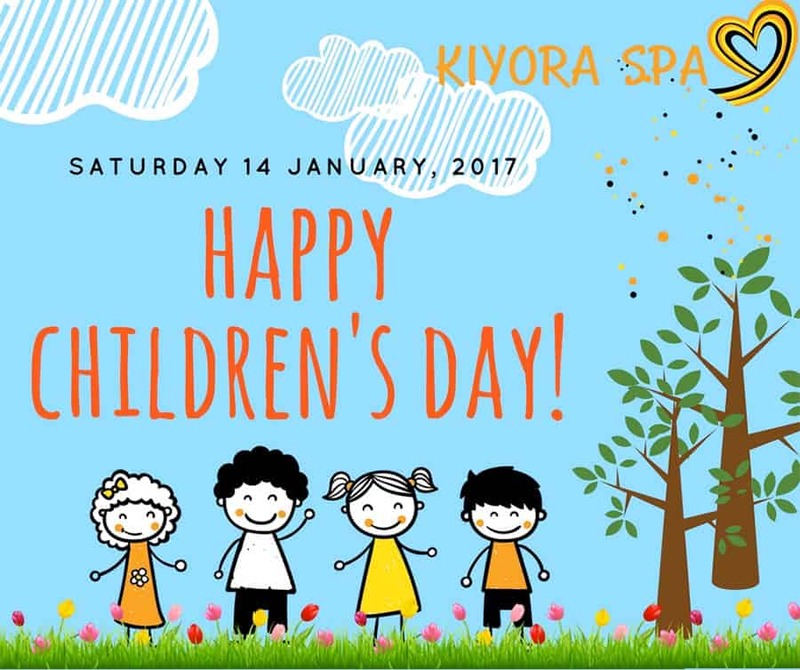 It occurs annually on 13 March. The day is completely devoted to the Asian White Elephant, which is the National Animal of Thailand. The intention of this beautiful and important event is to make people learn about the significance of the animal, to develop Thai culture on elephants, and to generate awareness of preserving and protecting the National Animal and its habitat. The natives of Thailand have a historical relationship with elephants. They have relied on white elephants to live, travel, and fight. The elephants are regarded as holy and symbolize royal power of the country. The amount of the white elephants a king owned influenced how much power he had in within his territory. As such, the white elephant became Siam’s national flag (Siam is a former name of Thailand). The primary attributes of the Siam army were their white Asian elephants. During the war, the amount of elephants used was a big part of Siam’s victory. For this reason, on 13 March 1963, the Royal Forest Department of Thailand selected the white elephant as the National Animal. However, these elephants were exposed to a big threat in their habitat. Their numbers had been diminished from about 100,000 to 4,700 within the last hundred years. As such, the Thai Government created the Thai National Elephant Day to spread awareness of the animal’s importance to the nation, its citizens, Thai culture, and overall history. It began in 1998 and has continued every year since. Each year on 13 March, to spread awareness, Thailand coordinates the National Elephant Day throughout the country. Each elephant park and zoo organize unique programs during the day. Several parks host Buddhist rituals where elephants are scrubbed and showered. You’ll also see Buddhist monks perform holy rituals. They purge back luck and pray for positivity in for elephants, as well as their mahouts. 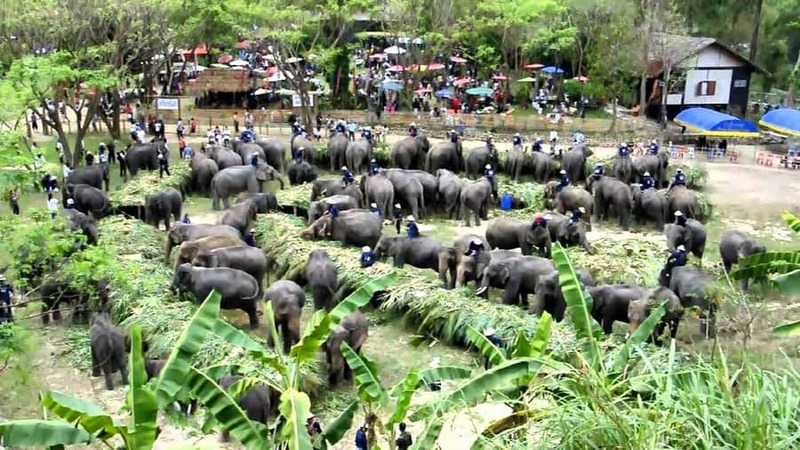 The Elephant Nature Park and Thai Elephant Conservation Centre have coordinated the big festival. They believe elephants are animals that bring luck into people’s lives. Therefore, the blessing ceremony has become a trendy activity during Thailand’s National Elephant Day. Plenty of crowds come together to get blessed by elephants in numerous areas. 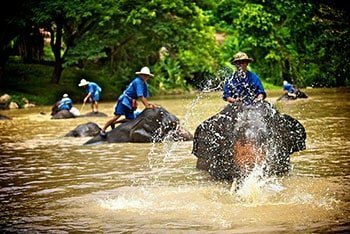 In Thailand, elephants are involved in several sports such as caravan and racing. The elephants are taught to react to more than 60 individual directions. This turns into a graceful, rhythmic ballet on the dust by the animals. The procession of the elephants is mesmerizing to watch. To do this, each elephant is uniquely educated to walk among others on streets. During National Elephant Day, people can see this happen on the streets of Thailand. 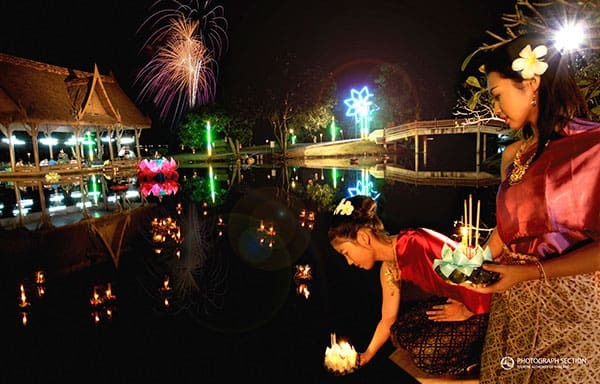 The ancient city of Thailand – Ayutthaya – is where the festival is truly dazzling. A huge crowd gathers to see approximately 150 elephants. The festival transpires on an elephant camp close to the Ayutthaya Historical Park. Inside the camp, dozens of elephants are dressed up with gold head covers and red body attire. The mahouts play a key role in the festivities. They wear a unique red dress to stand out. They elephants get the opportunity to eat a big lunch with plenty of vegetables and fruits. Every year on this day, the elephants eat almost 300 kg of fresh food. Following the meal, Buddhist monks begin their rituals. Typically, monks pray and mourn for elephants no longer with us. This may be the most interesting aspect of the whole event. On 11 March 2016, Thailand’s Prime Minister released a statement to the people and pledged to preserve the elephants. The PM stated that the Thailand Government is attempting to prevent the trade of ivory. 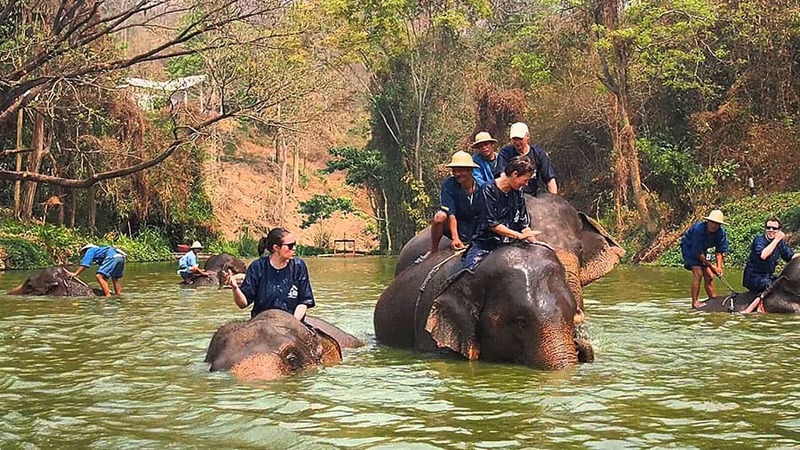 With the assistance of the Royal family, the Zoological Park Organization began a project for mahouts and their elephants called the Surin Elephant Kingdom project, which will transform Surin’s Dong Phu Din National Forest into a sanctuary for the National Animal. Essentially, an elephant village would be created. The Government is attempting to legally reclaim the forest areas from trespassers. Since 2015, they have recovered over 30,000 hectares of forest areas. The Government of Thailand is attempting to acquire more forest areas moving forward. 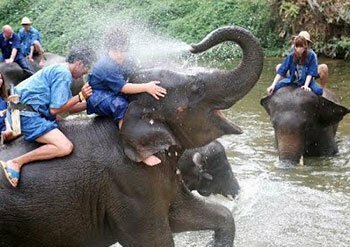 Residents of Thailand and visitors alike cannot afford to miss National Elephant Day!